Read our exclusive interview here. 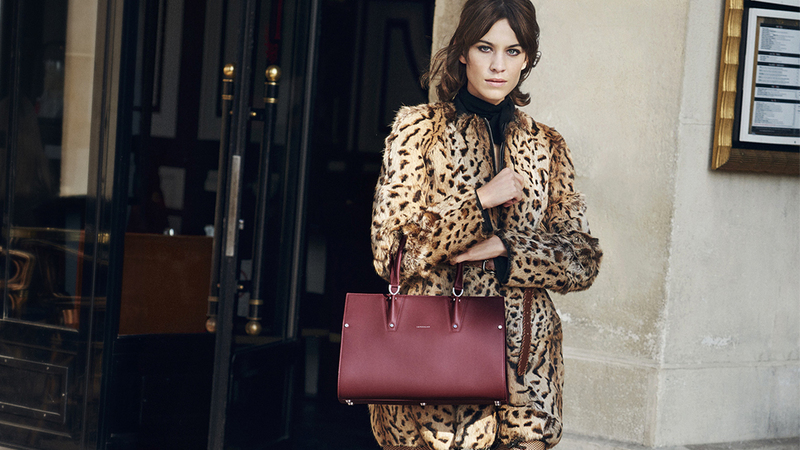 When it comes to versatile bags, everyone knows of the famed Le Pliage Nylon tote. At the opening of their newest boutique (the fourth in the Philippines! 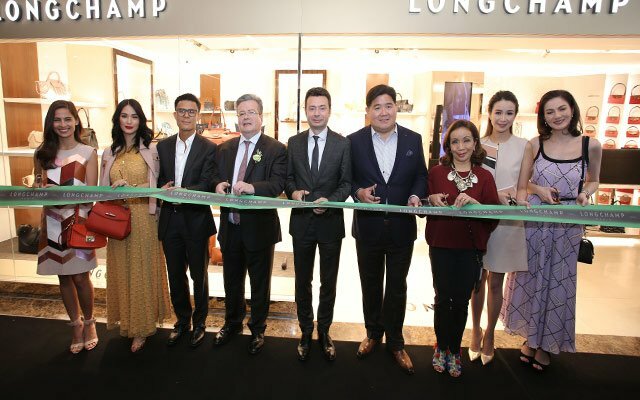 ), we got a chance to interview Francois Xavier Severin, General Manager of Longchamp Asia Pacific, and asked him questions on the new must-have from the brand, the best-selling colors of the season, and the direction of the brand in the coming years. Read on! What was the inspiration behind the boutique's layout? "Actually the store concept is inspired by the Paris flagship store, so most of the elements are coming from there. It's the latest concept we have." The Le Pliage bags come in over a hundred prints and colors, as well as different sizes, but what color and size sell out the fastest? "Each season we launch six to eight new seasonal colors, which are colors that we've never done before. 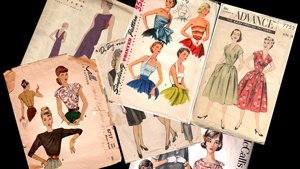 But we also have in our assortment what we call the classic colors. Those are the colors we repeat every season because they are basically those that sell the most. And here there's no surprise that we have some common colors like blue, navy blue, black, red. Those basic colors are the most saleable because they're classics. 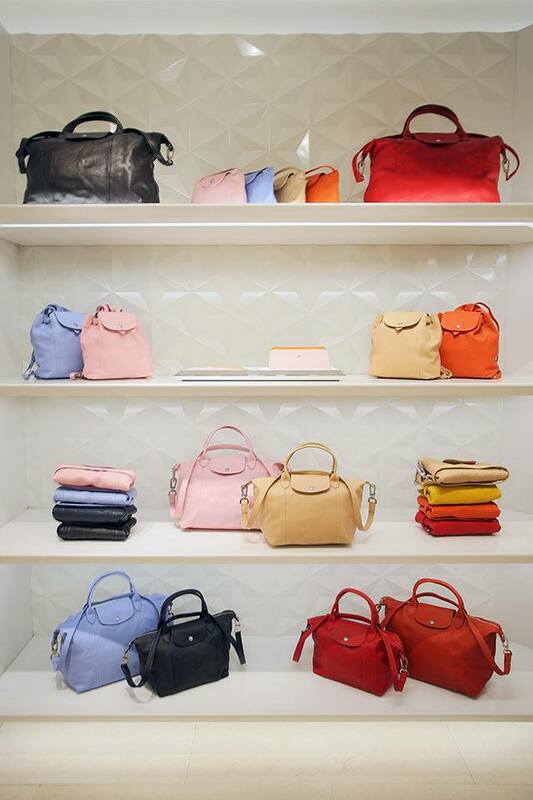 "But the good thing with Le Pliage is that you can go to very extreme colors and you'll always have customers that want to go for that. So actually even some extreme colors are surprisingly selling well. "When it comes to shape, the small and medium size for the leather Pliage are the bestsellers. And for the Pliage Nylon the long handle is also the bestseller in terms of shape. "Now we recently launched the mini backpack in leather and nylon. We really noticed that the backpack is a new way to carry your bag. It's a new trend. We're used to carrying with our hands or shoulders or crossbody, but the backpack is the new way to carry it and it's really picking up." Is the backpack trend something you noticed in Asia or is it a trend worldwide? "It started mainly in China, but now we can see that it's becoming more and more popular, especially the smaller size. "In European countries we are used to the backpack being practical and has lots of room. Now, women use it as a smaller place to fit their everyday things. This is probably a trend coming from Asiana but it's spreading everywhere in the world." What makes the Filipino buyer different from the rest of the region? 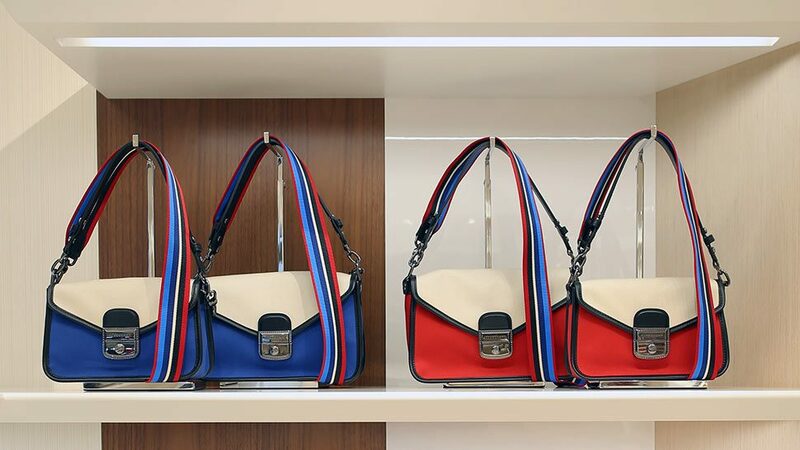 "So in the Philippines, the brand is very popular thanks to Le Pliage Nylon. It has been a very huge successful bag and popular for many years. "More and more, the Philippine consumer is shifting to buying leather bags, but it's still behind when you compare to the sales of nylon." If our readers had to buy only one item from the new collection, what would you recommend? "Definitely, I would recommend the Mademoiselle bag. Super nice. We launched six months ago and it's a beautiful bag and a worldwide success. It's one of the most expensive price we have in our collection but it's really nice because it's chic and cool. 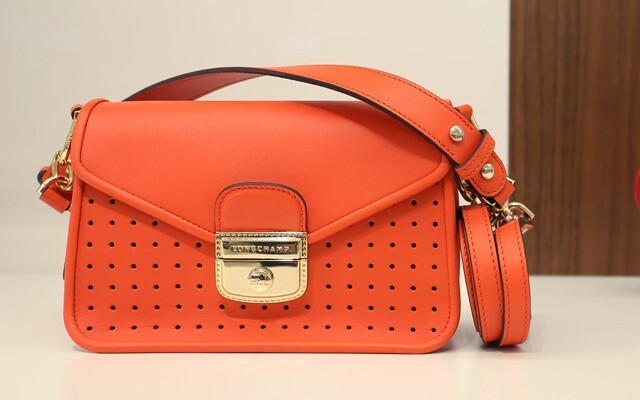 It's very chic but it has a little twist, a little more attitude with the perforation. It has a very strong personality, too." 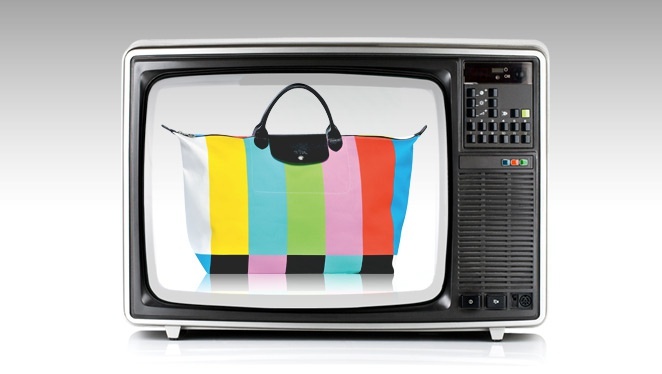 Is it true that it only takes 15 minutes to produce a Nylon Le Pliage bag? What makes production so fast? "First of all, as you know it's made in our factory in France. This is the bag we sell the most in terms of quantities, we've sold around 30 million pieces. Fortunately, we've been able to produce it fast. The reason why we do it fast is because we've totally mastered and controlled the different steps of the fabrication. It still requires human hands, it's not produced by a machine, we still have an artisan doing it. But with the advancement of technology we've also walked toward a way to do it as fast as possible to be able to follow the demand. "So, yes, it's a beautiful bag, it's nice quality, nicely executed. But we can't deny it's a volume bag. There's no waiting list because we know how to anticipate the season and the demands." 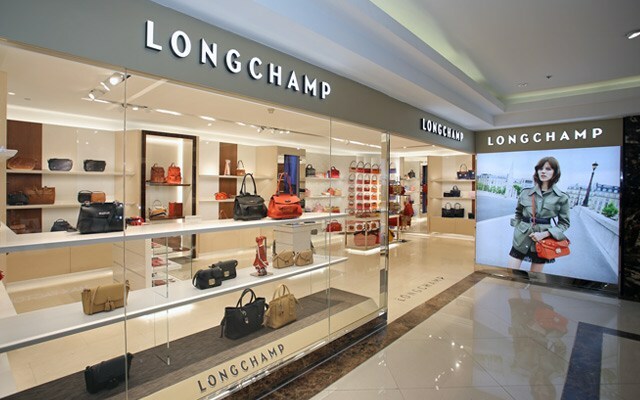 What are your plans for Longchamp in the Philippines? Do you plan to expand? "Of course, we would like [to expand], but we have to take it step by step. Today, we don't have plans to launch Women's Ready to Wear and shoes here. We have a bit of Men's [Ready to Wear]. "But we need two things before we expand: The first is the time to make sure that our leather and all the rest of our lines are accepted. Then, space. If we have enough space to launch womenswear and shoes, then we can expand into selling more of the brand."